Landing Homepage - Rosco Collision Avoidance, Inc. Bus and truck operating conditions demand the highest level of awareness by the driver in all environments. Pictured below is an example of one turn of likely thousands this bus will make over the course of a week. 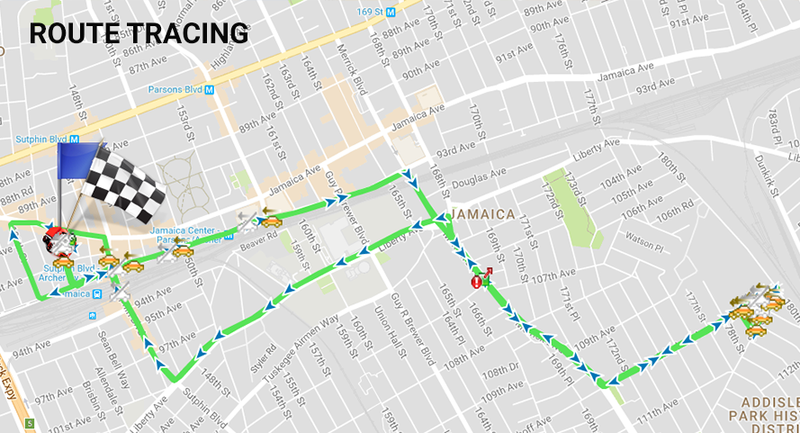 Smart vision sensors on the front and sides of the bus track possible collision courses and alert the driver in real time giving them time to take action. Pictured above is an example of one turn of likely thousands this bus will make over the course of a week. 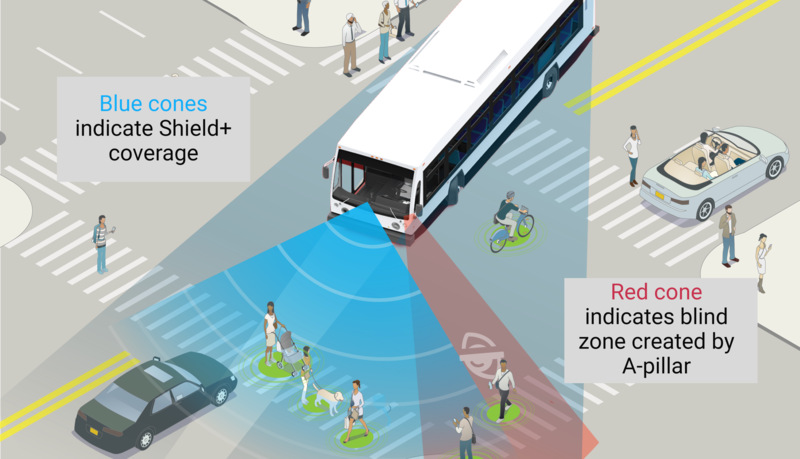 Smart vision sensors on the front and sides of the bus track possible collision courses and alert the driver in time to avoid or lessen incident severity. Fleet managers have installed the Mobileye® Collision Avoidance System in some of the world’s best run fleets including cars, trucks, service vehicles and taxis, in both rural and urban environments. These global organizations have experienced reductions in incidents, collisions and associated costs. Your fleet can accomplish the same. 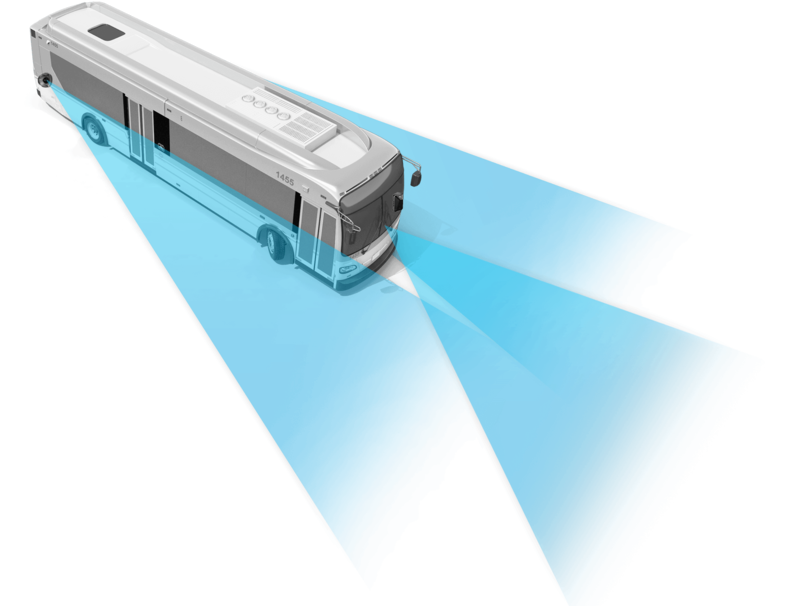 Mobileye Shield+ is an advanced collision avoidance system specifically designed for municipal vehicles, such as transit buses and sanitation trucks. The System addresses the large blind spots, greater turning radii and unique challenges these drivers encounter on crowded city streets. Vulnerable Road Users (VRUs), including pedestrians and cyclists, often are not seen by the operator due to these large blind spots on the sides of the vehicles and by the A-pillar, , especially when making turns. 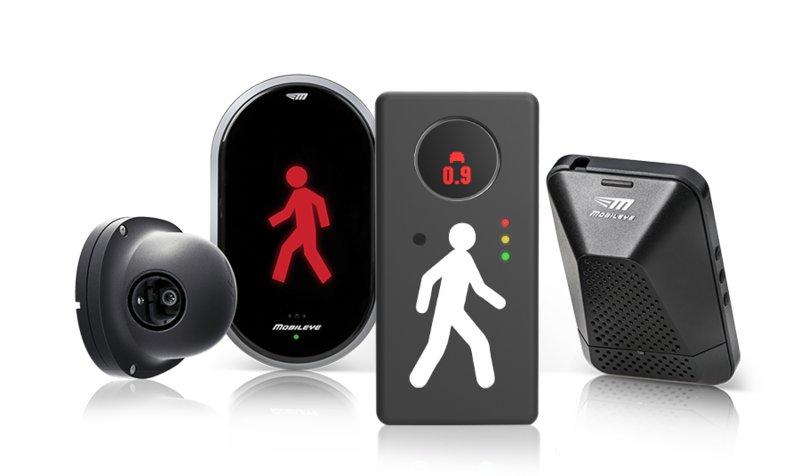 Shield+ warns drivers with audible and visual alerts – in real time – based on the directional location of the VRU and the potential for collision. Whether a straightaway or turn, the smart vision multi-camera system is tuned with sophisticated algorithms and years of Mobileye experience to assist drivers. 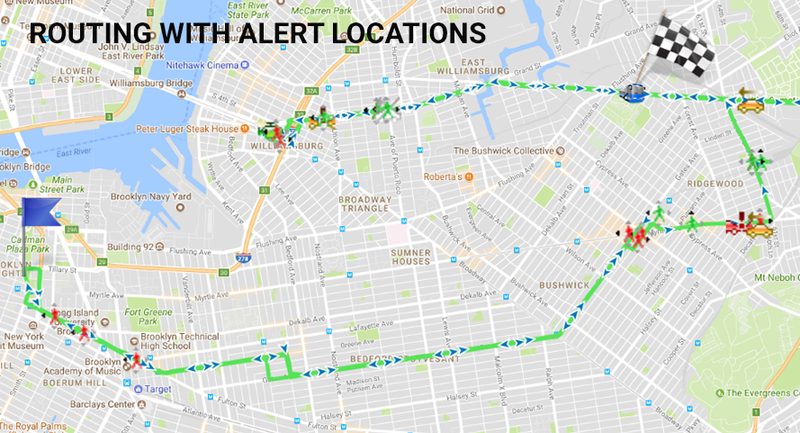 These alerts give drivers the vital seconds they need to avoid or mitigate a potential collision. In addition to the pedestrian and cyclist blind spot detection, Mobileye Shield+ analyzes the risk of a forward collision, lane departure, following time, and excessive speed. 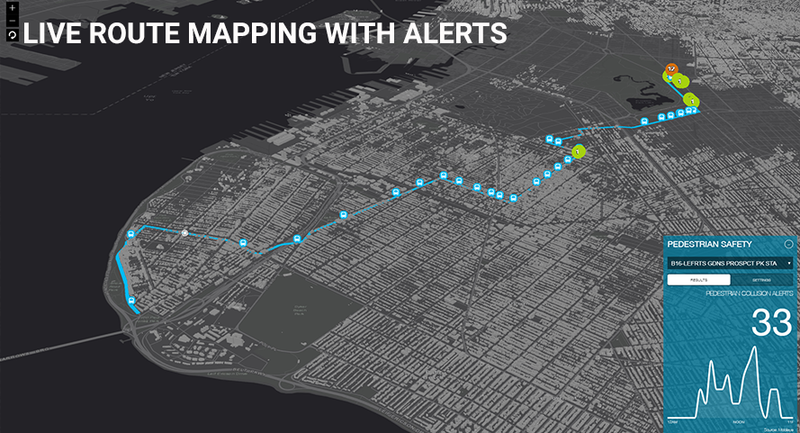 When a threat is detected, Shield+ warns the driver with real-time alerts, giving the driver the critical time necessary to possibly avoid a collision. Shield+ comes with an integrated telematics system* can locate and pinpoint potential hot spots on driving routes. A vast majority of collisions involving pedestrians and cyclists proved to be preventable with the right technology. 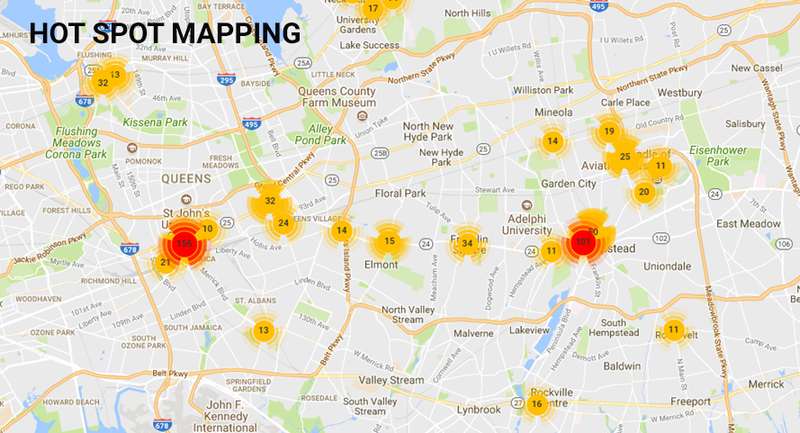 Pinpointing potential danger zones allows you to focus on the location and what could be causing the high incident rate. * Telematics system is provided by a third party at no additional cost for the first year. 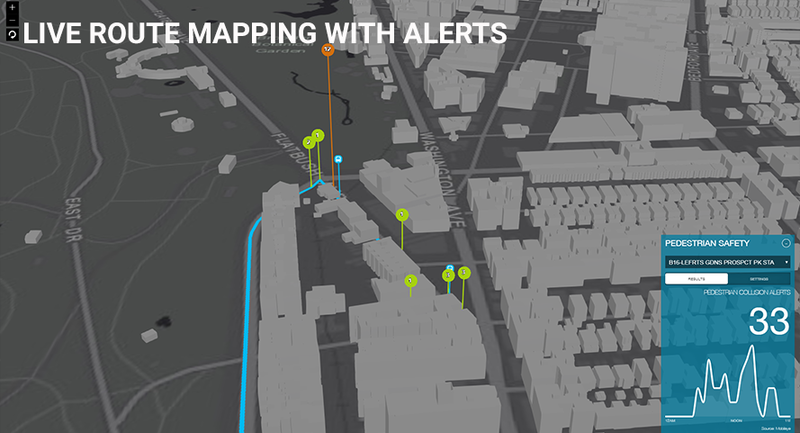 The telematics system can track vehicle routes and identify where there have been detections and alerts. 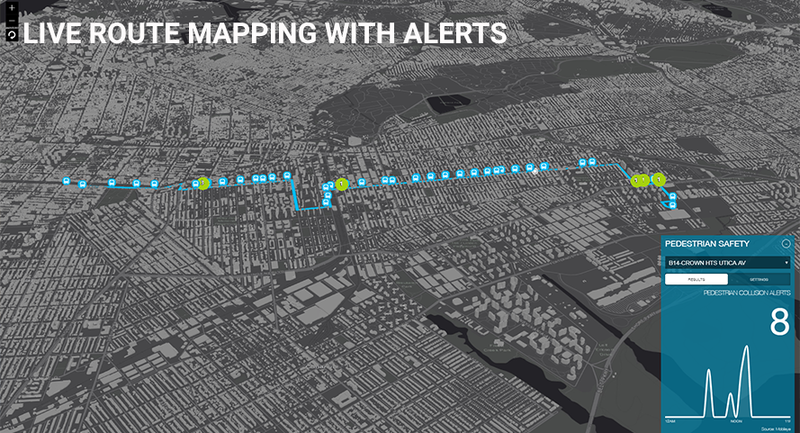 Using the collected data, generate safety reports based on location, drivers, number of detections, etc. The telematics GPS tracking and collision avoidance technologies can pinpoint potential hot spots and danger zones on driving routes. Shield+ brings collision avoidance technology to large vehicles. 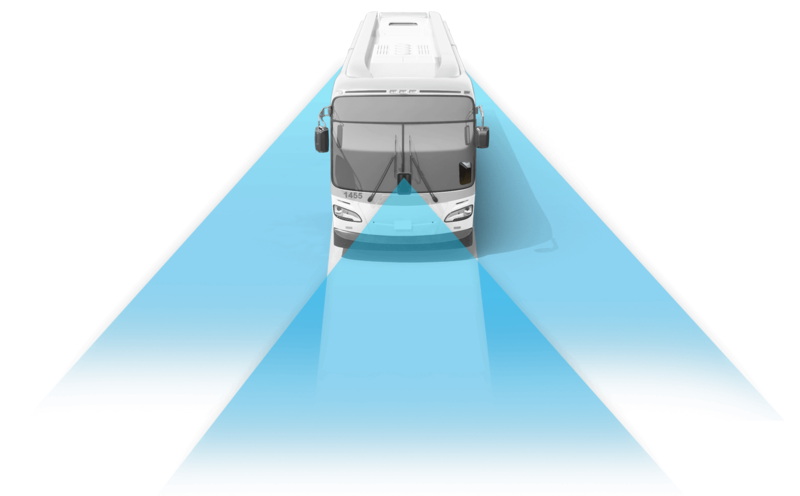 The Mobileye Shield+ Collision Avoidance System has been developed to aide drivers of municipal vehicles to mitigate potential collisions by scanning blind spots on the sides and front of the bus often unseen by the driver.